Nighthawk is a Civil Air Patrol Composite Squadron (consisting of both cadet members and senior members), located one mile West of Denton, Texas and is the largest CAP Composite Squadron in Texas. Access to the US Aviation Academy building is via the center door on the north side of the building. Please knock if the door is locked. There is a dispatch desk just inside and someone will open the door for you. Seniors meet upstairs. Nighthawk won the prestigious honor of Squadron of the Year in Texas based on the unit’s accomplishments in aerospace education, cadet programs and emergency services. The squadron was recognized by CAP as a Quality Cadet U nit every year that the award has been given. Nighthawk is the only unit in Texas that can claim that honor. Nighthawk was honored by Southwest Region and Texas Wing with the Ground Team of the Year Award for search and rescue. Nighthawk’s Maj. Stephen Robertson was recognized as the Texas Wing’s Senior Member of the Year. Capt. Mark Hammack was honored by Texas Wing with the Col. Edwin W. Lewis Incident Staff Member of the Year Award. Civil Air Patrol was formed on December 1, 1941, one week prior to the Japanese attack on Pearl Harbor. Thousands of volunteer members answered Ameri ca’s call to national service and sacrifice by accepting and performing critical wartime missions. Assigned to the War Department under the jurisdiction of the Army Air Corps, the contributions of CAP included logging more than 500,000 flying hours, sinking two enemy submarines, and saving hundreds of crash victims during World War II. CAP received the Congressional Gold Medal in 2014 in honor of the heroic efforts of its World War II veterans. After the war, a thankful nation understood that the CAP could continue providing valuable services to both local and national agencies. On July 1, 1946, President Harry Truman signed Public Law 476 incorporating CAP as a benevolent, nonprofit organization. 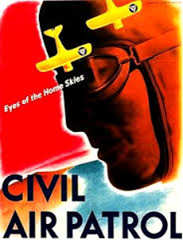 On May 26, 1948, Congress passed Public Law 557 permanently establishing CAP as the auxiliary of the new U.S. Air Force. 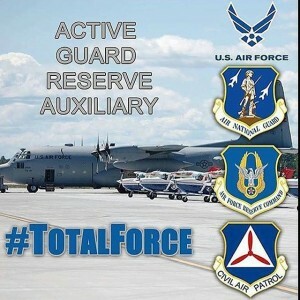 Today, the Civil Air Patrol is the newest member of the Air Force’s Total Force, which consists of the Regular Air Force, the Air National Guard and the Air Force Reserve, along with Air Force retired military and civilian employees. CAP, in its Total Force role, operates a fleet of 550 aircraft and performs about 85 percent of continental U.S. inland search and rescue missions as tasked by the Air Force Rescue Coordination Center and is credited with saving an average of 70 lives annually. CAP’s 58,000 members nationwide also perform homeland security, disaster relief and drug interdiction missions at the request of federal, state and local agencies. Its Airmen additionally play a leading role in aerospace education and serve as mentors to more than 24,000 young people currently participating in the CAP cadet program. CAP also participates in Wreaths Across America, an initiative to remember, honor and teach about the sacrifices of U.S. military veterans. Visit www.capvolunteernow.com for more information.